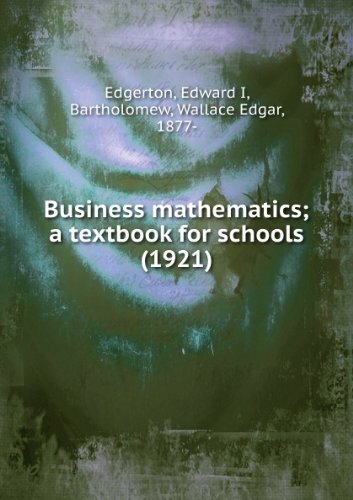 The course in applied mathematics outlined in this book is much more advanced and thorough than the usual course in commercial arithmetic. The attempt has been made to construct a practical course which will contain all the essential mathematical knowledge required in a business career, either as employee, manager, or employer. The aim of this thesis is to developed an efficient procedure for the application of BEM to transient scalar wave propagation problems, investigating the coerciveness property of the related energy functional, avoiding the frequency domain analysis. The book introduces the mathematical foundations of linguistics to computer scientists, engineers, and mathematicians. The book presents linguistics as a cumulative body of knowledge from the ground up: no prior knowledge of linguistics is assumed.